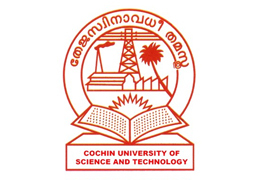 CUSAT has recognized HLLCRDC as its Research Centre (wide No: A/B1/015270/HLL/2011; dated 05/04/2018). Students can undertake doctoral research at HLL CRDC in different area of science including Natural Products, Polymers, Medical Devices, Drug delivery and Diagnostics. Students who qualifies the University entrance exam/National Eligibility Test are eligible for registering towards PhD Programme. 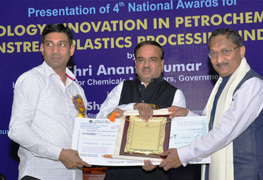 HLL CRDC has won 7th National Award for Innovation under the industry category of “Polymers in Public Health Care” jointly with Regional Cancer Centre, Trivandrum for its innovation on “Cervical Spacing Device” for reducing radiation exposure to critical organs during brachytherapy treatment for Cervical Cancer. The award is constituted by Ministry of Chemicals and Fertilizers under Department of Chemicals and Petrochemicals and was given on a function held in New Delhi on 1st March 2017. Union Minister of Health and Family Welfare, Shri Jagat Prakash Nadda inaugurated the class 10000 incubation facility at CRDC on 10th April 2015. 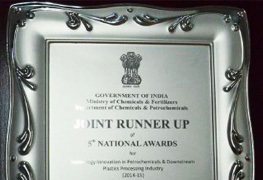 HLL CRDC has won 5th National Runner up Award for Innovation under the industry category of “Polymers in Public Health Care” jointly with Sree Chitra Tirunal Institute for Medical Sciences and Technology, Trivandrum for its innovation on “An intrauterine system (IUS) with controlled drug delivery” for contraception and for the treatment of abnormal uterine bleeding (AUB). The award is constituted by Ministry of Chemicals and Fertilizers under Department of Chemicals and Petrochemicals. It was awarded in a function held in Bengaluru on 21st February 2015. Union Minister of Health and Family Welfare Shri. 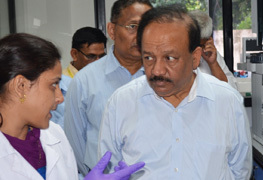 Harsh Vardhan visited the CRDC facility on 19.09.2014. 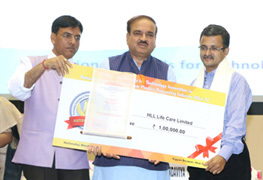 HLL CRDC has won 4th National Award for Innovation under the industry category of “Polymers in Public Health Care” for its innovation on “Development of Novel Intrauterine Device - Coated Copper T” for addressing the contra indication of excessive bleeding which is normally seen with the insertion of normal copper IUD’s. 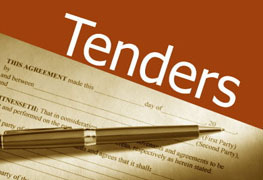 The award is constituted by Ministry of Chemicals and Fertilizers under Department of Chemicals and Petrochemicals. It was awarded in a function held in New Delhi on 17nd July 2014. 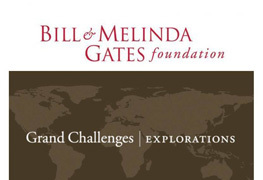 Project entitled “Poly (glycerol sebacate) based Condoms-Phase I” was awarded by BMGF in the year 2014 (Grant Id: OPP1108136) under the category “Develop the Next Generation of Condom (Round 12)” with a funding of USD 1,00,000. Project entitled “Graphene Based Polymer Composites for High Heat Transfer, Improved Sensitivity, and Drug Delivery Condom -Phase I” was awarded by BMGF in the year 2013 (Grant Id: OPP1098333) under the category “Develop the Next Generation of Condom (Round 11)” and Phase II was awarded in the year 2016 (Grant Id: OPP1139769) with a total funding of USD 10,64,240. Project entitled “Development of Coated Copper T – Phase I” was awarded by BMGF in the year 2010 (Grant Id: OPP1025604) under the category “Create New Technologies for Contraception (Round 5)” and Phase II was awarded in the year 2013 (Grant Id: OPP1067901) with a total funding of USD 9,58,123. 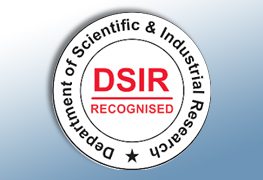 Department of Scientific and Industrial Research (DSIR) have recognized HLL CRDC (TU/IV-RV/1179/2017) as an R & D Centre since 16-03-2010 and registration is valid up to 31st March 2021. The recognition by DSIR have made HLL CRDC eligible for receiving funds for R & D purpose from various government departments and agencies such as DST, DBT, CSIR, ICMR, ICAR, etc.